My, what a year it's been! I opened my Etsy shop last November, so excited and full of hope. I envisioned a booming crafting business where I spent all of my free time crocheting and keeping shop. And then in January, my life turned upside down. In the mostbeautiful, wonderful way imaginable. I spent the first half of my pregnancy unable to focus my eyes on handiwork without getting queasy, and then the second half rapidly making things for my own little one. My Etsy shop fell by the wayside. But now, with this precious little girl by my side (and the opportunity to stay at home with her) I am able to get back to creating things I love. 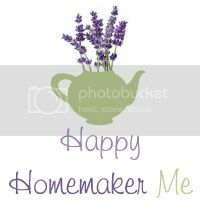 Enter Happy Homemaker Me's Shop! There are only a few things in it right now, but I'll be happily adding more in the coming weeks. I'm once again excited and full of hope. 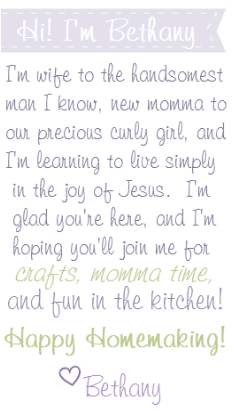 I'm dedicated to keeping the shop going, and hoping that selling things online will not only fuel my passion for creating handmade items, but that it can also give me a way to help my little family financially while staying at home with our little girl. Looking for a fun and festive Christmas scarf? Is there a baby in your life who needs a pretty little hat to keep her head warm? Please stop by! I'm looking forward to adding more hats and scarves to the shop, as well as pacifier clips with matching headbands, pretty hair things, and Christmas decorations. It's all coming soon!